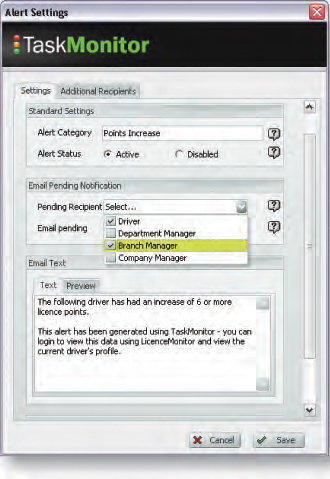 TaskMonitor is a web-based alert and monitoring system that oversees all of your driver activity, and keeps you informed of the things you need to know about - when you need to know about them. 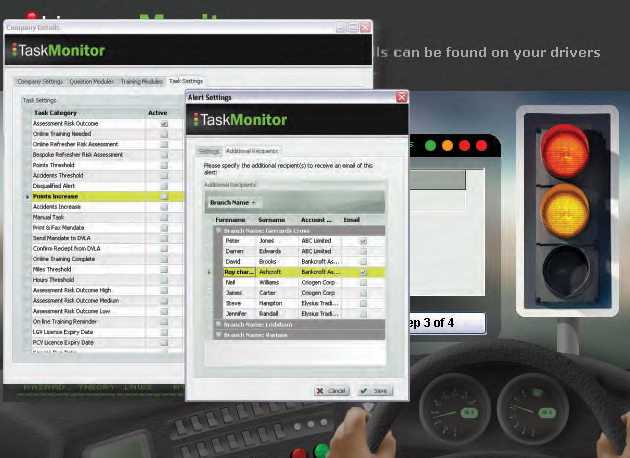 Acting as an automated ‘night watchman’, TaskMonitor works away in the background covering all areas of the system, and highlights any key points that need action. You can set preferences as to the type of alerts you receive (i.e. licence points increase or high risk outcome), how far in advance a warning you would like, and ultimately safeguards against neglect by eliminating the need to manually search for data.